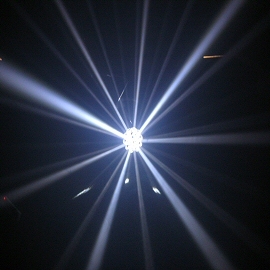 The mirror ball effect is back! This club effect from the ’70s has been re-invented and now it’s brighter than ever! 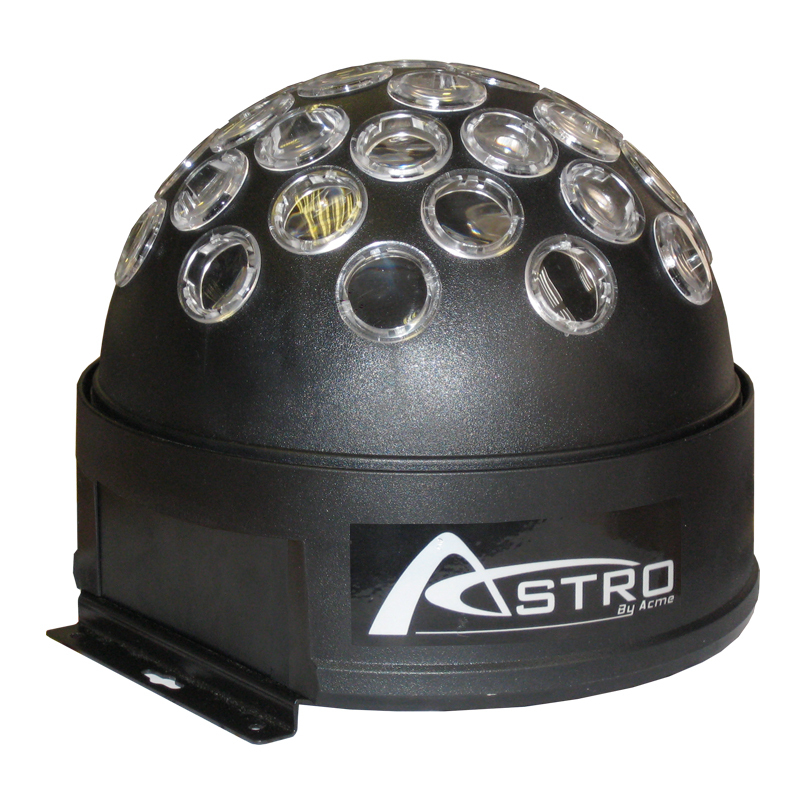 A powerful LED is located inside a rotating spherical case and projects beams around a room like a mirror ball. Ideal for use as a centerpiece, this unit projects 34 sharp, powerful, brilliant white beams, which slowly rotate around the walls, ceilings and floors, giving a wide room coverage. 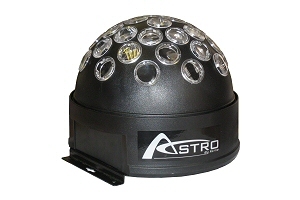 All of the unit’s beams are produced from one high power 3-watt LED light source.